Your wedding is one of the most important days of our life and in addition to looking your best it is also crucial that your bridesmaids look absolutely superb as well. Wholesale bridesmaid dresses allow you to meet your wedding day fashion needs and budget with inexpensive dresses from China. No matter the season or venue, it is certain that you will find a coordinating lace, chiffon, tulle or satin dress here. Due to the amazing quality that is present in every stitch, your bridesmaids will want to continue to wear these gorgeous bridesmaid dress creations even long after the big day. To buy high quality Wholesale bridesmaids dresses does not have to cost a fortune. Enjoy fashionable products, great discount prices and excellent customer. DressesABC is the professional wedding dress and bridesmaid dress wholesale shop in Manchester offering brides in Manchester for wedding dresses wholesale and cheap bridesmaid dresses wholesale service with top quality. If you are looking for wedding wholesale stores, DressesABC is your best wedding wholesaler, 7 days return for best online shopping experience. 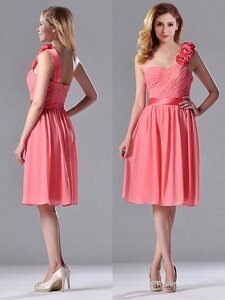 Choose from the beautiful and elegant bridesmaid dresses that make you look the most beautiful. You need to look at the size before choosing the right and the best one for you and that too a very low price It would surely make you look quite attractive and sweet at the same time.